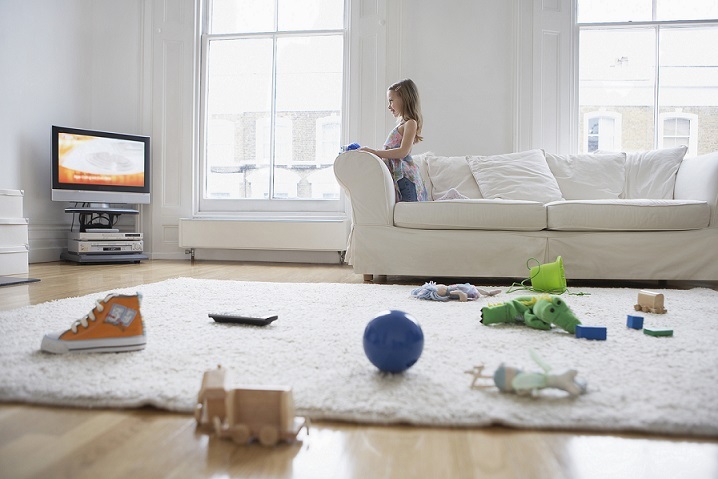 You can't see the floor of your car, & 10 other things that are normal when you have kids. Hey Mums, we’re all in this together. Because when I go into that house, the house of the mum who is so apologetic about the condition of her kitchen, or the toys in her living room, or the invisible dirt in her bathroom, I can’t decide if I want to laugh in her face or deck her. Girl, please. Not only is your house not messy, your house is immaculate. You have guest towels laid out. 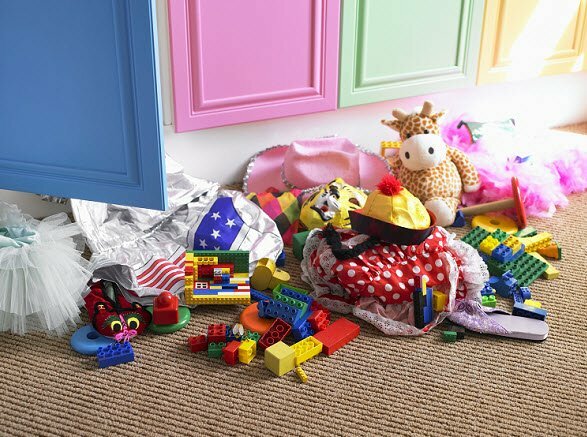 Your children’s spilled toys remain confined to a rug — which, by the way, is not sprinkled with crumbs. Sippy cups stay in the kitchen. Insisting your house is dirty speaks to clinical delusion, your misunderstanding of small children, your secret desire to make me feel guilty, or maybe your desperate need for reassurance. "I&apos;d be happy if my house looked like this..."
Probably all of the above. Seriously, stop it. You can either have a sense of shame or small children, and I’ve got three boys under 5. So for all of you mamas insisting your immaculate house is messy, and all of you normal mamas afraid to have anyone come into your house ever, because that level of clean is just not achievable due to kids/time/dogs/life/constant art projects, let’s set some guidelines. 1. 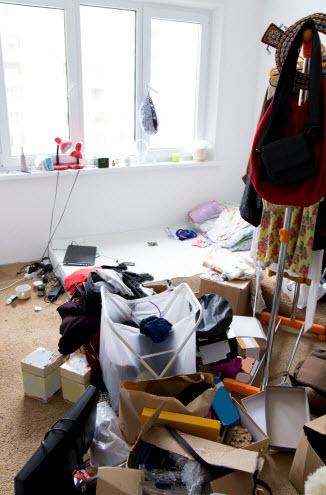 Normal: There is a room in your house that always stays cluttered and messy, and much like Lady Macbeth’s hands, will never be clean. In my house, it’s the dining room, furnished with my great-grandmother’s cherry dining suite, including buffet and china cabinet. I sew on the table, store art supplies in and around and between the hunt board and the wine rack. I stash file cabinets in available floor space, dry glitter art next to the sewing machine, and sometimes train tracks under the table. None of that gorgeous cherry is currently visible. I neaten this room for birthdays and holidays requiring fine china. Otherwise, you aren’t allowed to see it, Judgy McJudgerson. "Does one room in your house look like this?" 2. Normal: Your laundry is everywhere. Current house tally: five clean baskets in the laundry room (blocking the auxiliary fridge and probably creating a certifiable fire hazard). One clean basket in the master bedroom. A clean load in the dryer and one in the washer. There is no basket of dirty clothes anywhere. We’re this week’s laundry heroes! Will those clean baskets make it to folding, or even more daunting, into drawers? Maybe. I’m feeling it lately. But a relative of mine, who shall not be named, once had to hide her kids’ Christmas present — a pet snake — from all the kids and her husband for two weeks. She stashed it under the laundry baskets in her bedroom. The secret kept. She’s the all-time laundry hero, ladies. 3. 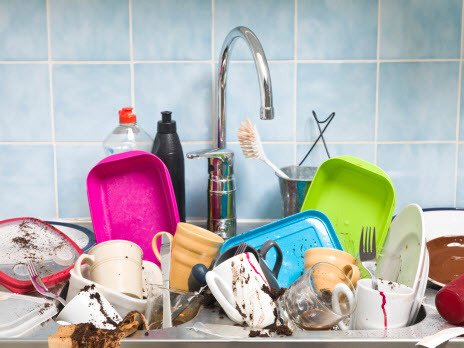 Normal: Your sink is full of dishes, your dishwasher is full of dishes, your table and counter are full of dishes, and you can’t find a clean spoon. So you use a teaspoon for your cereal. When you get to the giant soup spoon or worse, start to contemplate that spikey grapefruit spoon at the bottom of the silverware drawer, then you need to do a load. Only so the kids have plates for lunch. 4. Normal: Your kids’ bath toys are right where they left them after the bathwater drained. Don’t pull that shower curtain shut. We know what’s behind it. 5. Normal: Some types of toys are scattered all over the house and no matter how hard you try, or what bribes you offer, or what god you pray to, you never get every piece picked up. True story: I have found those stupid ball-pit balls in my washer, my front yard, and stuffed between car seats. We have the same problem with legos, which I confiscated on seriously tenuous grounds, and "Star Wars" figures. If I come over to your house and notice plastic Army men in the space behind your toilet, I’m not judging. 6. Normal: Cups and cups and cups. Everywhere. All the time. Somehow we didn’t perish of dehydration in the &apos;80s when my mother wouldn’t let us out of the kitchen with a sippy of orange juice. But it’s 2014, and my kids will shrivel into complaining oblivion without a cup of juice at all times. Except they leave them everywhere, and then get a new one. They now hold up drinks and ask, “Is this good, Mama?” before taking a swig. So do yours. Don’t lie. "Oh look, this one is clean." My bath tub has some hopefully/maybe/eventually will fade tie-dye stains. I need to repaint part of the kitchen wall, because who let her toddlers use her acrylics? This mama! At the very least, your toddler took a pen to the wall and you haven’t had time to magic erase it yet. 8. Normal: You can’t see the floor of your car. Where else are you supposed to toss all those disposable cups? Or the spare nappies? Or the dirty sippy cups? Seriously. Your husband probably complains about it. 9. Normal: You forgot rubbish day again. 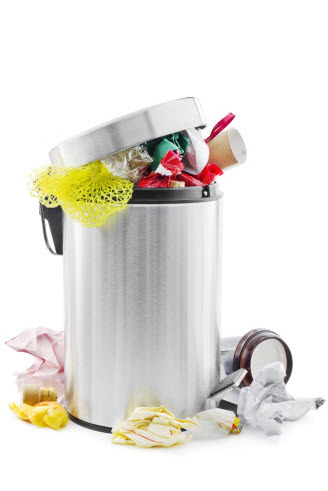 So your garbage bin is overflowing and your recycling bin looks like a seriously committed alcoholic lives at your address, but really you just forgot garbage day two weeks in a row. As long as you got the rubbish out of the house, you’re a garbage day winner! High-five! "Is it outside? Well done, you win at life." 10. Normal: You have not dusted. Perhaps ever, or at least since your parents last visited. I think I maybe own Spray and Wipe? Somewhere? Don’t look at the upper bookshelves, especially if you suffer from allergies. 11. Normal: Some part of your house is in do-not-use disrepair, and has been for longer than you would publicly admit. My oldest son has never seen us use the shower in our master bath. He’s 4. We need to replace the tile and just haven’t managed somehow. I thought this was a horrible, abnormal, horrific shame until I mentioned this to other mothers. Two of them copped to unusable bathrooms. One mentioned a verandah with holes. Another has to warn visitors not to attempt the front stairs. I salute you, my sisters in disorder. So there you have it. Either your house is really, really clean, and you should stop apologising, or at the very least you can stop your shame and host play dates for once. We’re all in the same boat. I won’t look in your dining room if you don’t look in mine. What else has become &apos;normal&apos; for you since having kids? My house is messy and I don’t care.